Smoothies are a great way to kick start your morning. I started drinking green smoothies daily a little over two years ago and it has made a huge difference in how I feel. There is something about knowing that you are doing something good for your body that affects your psyche too. Breakfast smoothies are a great way to get a powerful punch of vitamins, minerals and antioxidants. Juicing is a great way to start your day too, but I have to admit that I am a little too lazy to keep up the juicing habit. It really is more work and while it is probably worth it health wise, my mantra has always been about balance. You can even find Vega products at my Sweet Spot aka Target. What I like about these powder mixes is that they have a hefty dose of protein. The Vega Essentials shake is the one I use most often. You can toss in a scoop of the blend and still continue adding fresh veggies and fruit. I like to toss in spinach or kale and frozen blueberries. The essentials powder has 20g of protein and 3 servings of greens on its own, but there is nothing wrong with doctoring it up just a bit. I have also been known to use a scoop of Vega, drop in a tablespoon of peanut butter, chunk of dark chocolate, and half of a banana for a dessert like taste. The best thing about the protein smoothie is that in a pinch you can just use a scoop of the blend and nondairy milk (I use almond) or water, shake and go. I have heard some people say they have had to give up on smoothies because of the sugar (diabetics etc.) But the truth is if you are making fresh whole food smoothies (and I am not talking about those found at popular smoothie chains), with a heavy dose of greens that shouldn’t be a problem. However, I do encourage you to consult your physician if you have medical concerns before beginning any new nutrition program. I also recommend using berries instead of loading up on other fruits as they are the lowest in sugar content. Berries are also packed with antioxidants and anti-inflammatory properties. So far it has worked beautifully. It is moderately priced and the quality has been great. I may not be able to cook soups in it, but for my daily smoothie dose it has worked just fine. Of course you can find blenders at even lower price points. I would just make sure you read the reviews. Sometimes you do compromise quality at lower price points. Think of your investment as cost per use. I use my blender every single day. Even swinging for the Lamborghini (Vitamix) of blenders would be a good investment for me. I hope that I have encouraged you to give smoothies a try. Do something good for your body today. 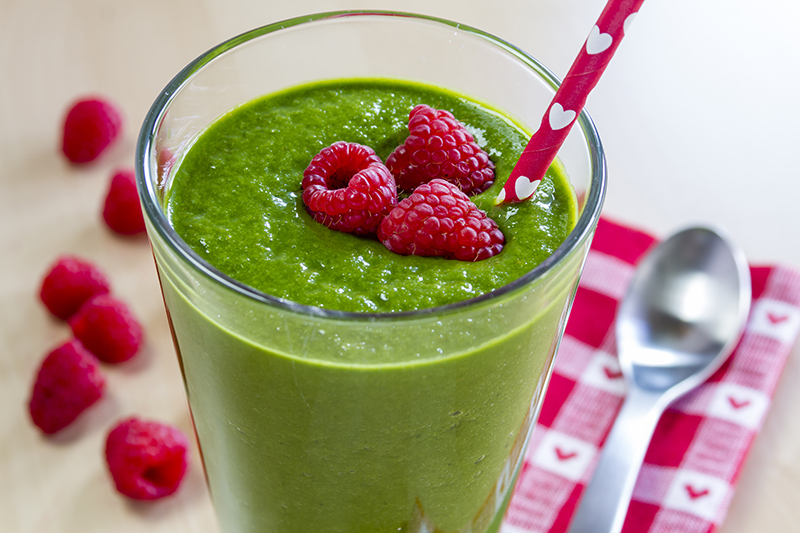 Begin starting your day the green smoothie way!